It is a well-known fact that many projects fail to meet some or all of their objectives because some risks were either: underestimated, not quantified or unaccounted for. It is the objective of every project manager and risk analysis to ensure that the project that is delivered is the one that was expected. 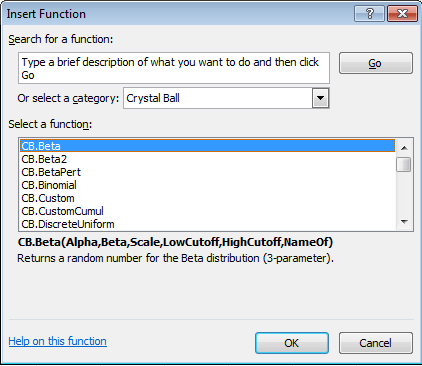 With the right know-how and the right tools, this can easily be achieved on projects of almost any size. 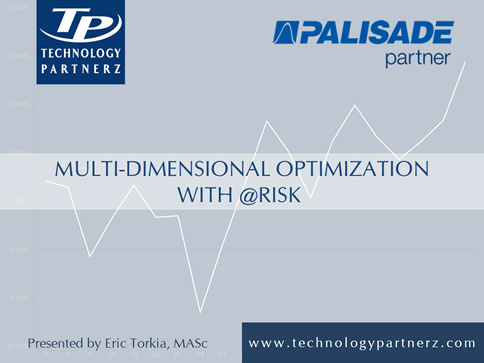 We are going to present a quick primer on project risk analysis and how it can positively impact the bottom line. 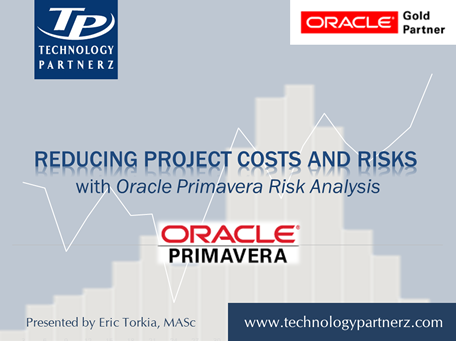 We are also going to show you how Primavera Risk Analysis can quickly identify risks and performance drivers that if managed correctly will enable organizations to meet or exceed project delivery expectations. Making decisions for the future is becoming harder and harder because of the ever increasing sources and rate of uncertainty that can impact the final outcome of a project or investment. Several tools have proven instrumental in assisting managers and decision makers tackle this: Time Series Forecasting, Judgmental Forecasting and Simulation. This webinar is going to present these approaches and how they can be combined to improve both tactical and strategic decision making. We will also cover the role of analytics in the organization and how it has evolved over time to give participants strategies to mobilize analytics talent within the firm.